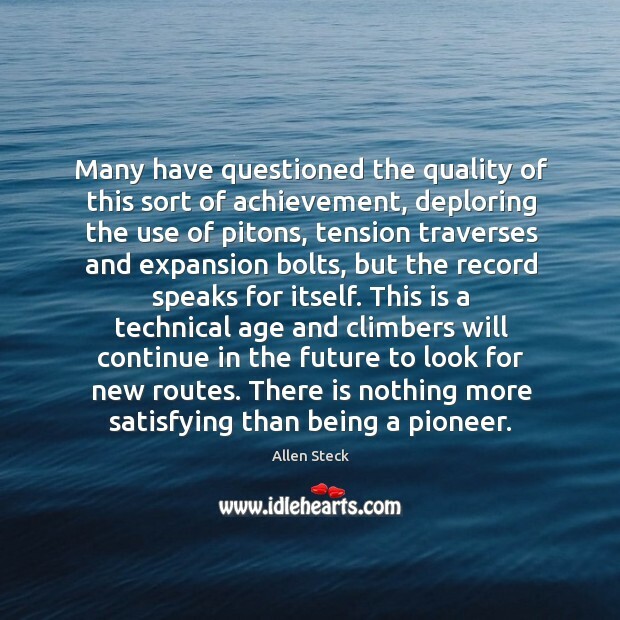 Enjoy the best inspirational, motivational, positive, funny and famous quotes by Allen Steck. Use words and picture quotations to push forward and inspire you keep going in life! I often think of those marvelous weeks spent in the Waddington Range in 1950. 2 new routes on the northern side of the peak and the 3rd ascent of the mountain as well. 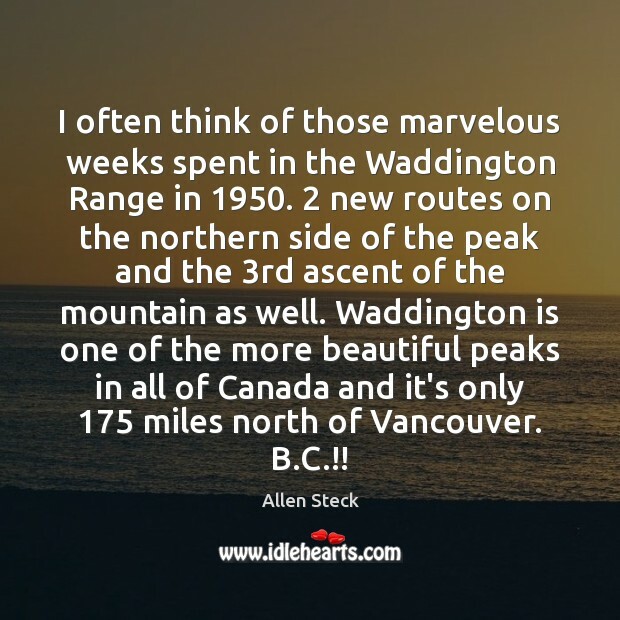 Waddington is one of the more beautiful peaks in all of Canada and it's only 175 miles north of Vancouver. B.C.!! 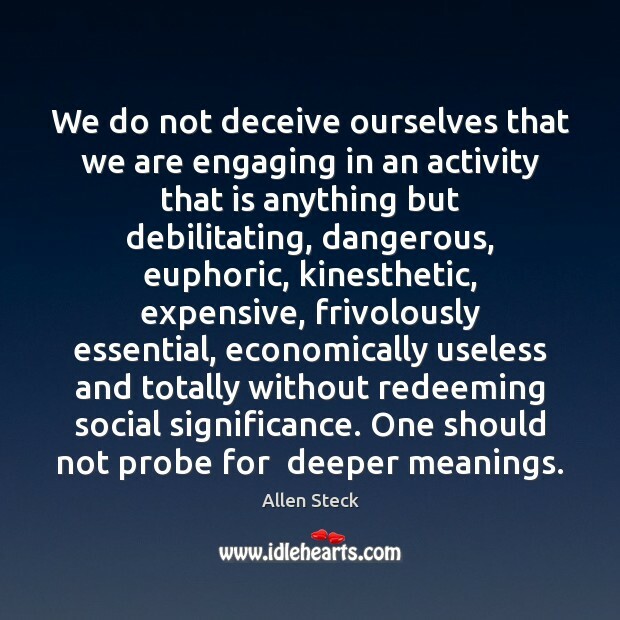 We do not deceive ourselves that we are engaging in an activity that is anything but debilitating, dangerous, euphoric, kinesthetic, expensive, frivolously essential, economically useless and totally without redeeming social significance. One should not probe for deeper meanings. 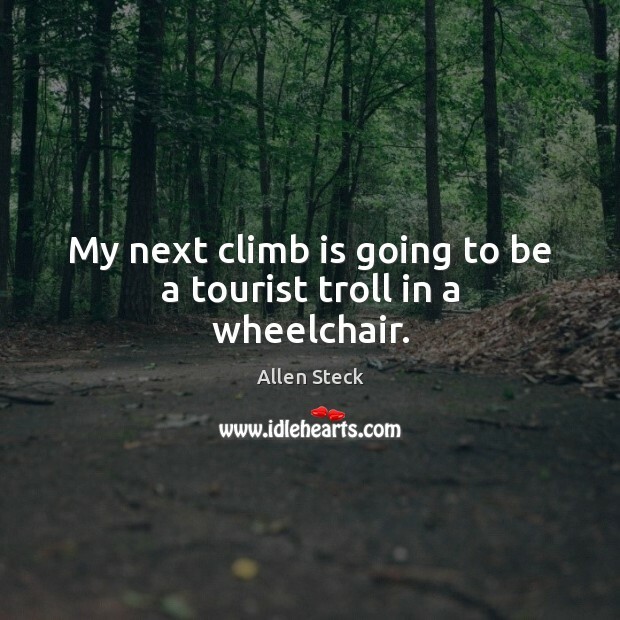 My next climb is going to be a tourist troll in a wheelchair. Many have questioned the quality of this sort of achievement, deploring the use of pitons, tension traverses and expansion bolts, but the record speaks for itself. This is a technical age and climbers will continue in the future to look for new routes. There is nothing more satisfying than being a pioneer.